Due to our fabulous relationship with our La Manga Property owners we are pleased to offer the best villa accommodation price guaranteed for all our La Manga Club villas, offering you the perfect La Manga holiday. Choose an apartment to rent from one of the many villages at the La Manga Club Resort in all seasons. 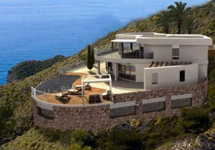 Due to our fabulous relationship with our La Manga Property we are pleased to offer the best La Manga Club Accommodation villa rental price guaranteed. The La Manga Club Hotel is a luxury five-star hotel, in a privileged location at the heart of Europe’s leading golf holiday resort of La Manga. The Las Lomas Village at La Manga Club offers top quality four-star La Manga Club Accommodation in our managed La Manga apartments. Fabulous La Manga golf holidays from as little as £439pp per week to include daily golf , bed & breakfast in Las Lomas Hotel & Apartments.